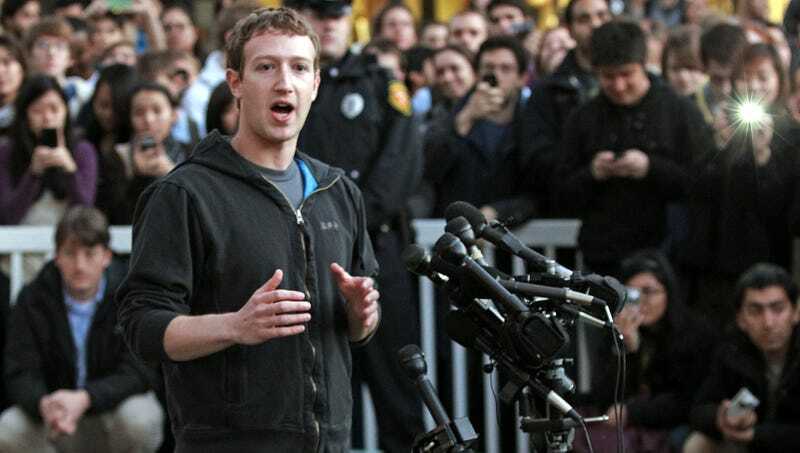 MENLO PARK, CA—Following a difficult week that saw the social media company’s shares plummet by nearly 20 percent, a clearly panicking Mark Zuckerberg held a press conference Friday explicitly welcoming those who deny the Armenian genocide to Facebook. “We fully acknowledge that it was a mistake for us to have ever censored any content whatsoever, so we are extending the warmest of invitations to anyone who doesn’t believe in the systematic destruction of 1.5 million Armenians at the hands of the Ottoman Empire during World War I,” the profusely sweating, visibly agitated CEO told reporters, noting that, effective immediately, the site would also be rolling out the red carpet for any individuals or groups skeptical of the Nanking Massacre, the Great Famine, or the Rwandan genocide. “Whether you’re a Turkish nationalist who believes in an elaborate conspiracy perpetrated by the Armenian people or you just reject that Sudanese militias have killed non-Arabs in Darfur, Facebook could not be more thrilled to have you join the conversation. Okay? Just please, please, keep using our platform.” Zuckerberg added that, as part of its effort to reach out to this user base, Facebook would be launching a multimillion dollar “There Are Two Sides To Every Story” ad campaign.